" Matt was excellent and always available when needed! He knew the market well and offered insight in the buying process. We would highly recommend him for anyone looking to buy a home! " " Christopher Horner is outstanding on the local knowledge , expertise, reaponsiveness and negotiation skills. He helped my husband and I find our dream home in a well respected area. Located in the heart of Baton Rouge. Chris is a part of our family! " " Miss Caroline treated my wife and I like family. She went above and beyond to be there for us. She was so great to my wife when i was out of town for weeks due to work. She knows a lot of very helpful and great people to help the home buying process be stress free. Will be recommending her to anyone that i come across that is in the market for a home. Thank you very much miss Caroline ! " " I can't say enough wonderful things about Mary Beth! Being a first time (and out of state) home buyer I had no idea what to expect and she walked me through the entire process. She was always available to answer questions and was so helpful and thorough every step of the way! She is so kind and an absolute pleasure to work with! I highly recommend anyone looking for a home to work with Mary Beth! " " Alicia is a marvel! She demystified every step of a very confusing process for this first-time homebuyer, patiently fielding my numerous questions and letting me know what to expect from every stage of the mortgage process ahead of time, which eliminated a great deal of stress. This kind and sunny lady was ALWAYS available when I needed her, extremely knowledgeable about her field and the local market, a firm advocate when necessary but also not afraid to let me know when my thinking needed some adjustment to put it on par with reality, and literally held my hand every step of the way, from our first meeting to the closing. I know without a doubt that the adventure of buying my first home wouldn't have been nearly as smooth without Alicia on board. I would highly recommend her to anyone in need of an agent, and especially to anyone buying a home for the first time. She is, simply, top notch! Love this lady! " " Willie and Willie Homebuilders has nothing but great things to say about Team Smith! Steven was the listing agent for Magnolia Farms in Livingston. He was Willie and Willie’s main point of contact and the go between for buyers and realtors. Steven was amazing at streamlining the process of any communication between our buyers from negotiating purchase agreements, answering buyers questions to scheduling buyers through the closing on their new home. 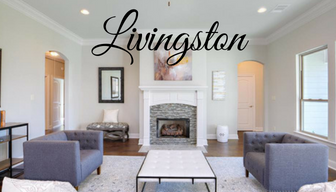 Steven was excellent at managing his team so that each and every realtor on his team knew the Magnolia Farm product, pricing and all the beautiful home features of the homes and the neighborhood to offer the consumer. He staffed a model homes when available, which is such an integral part of the new construction selling process. His experience and contacts in the industry are invaluable. Having a relationship of trust is so important— as owners of Willie and Willie, Randy and I could always count on Steven Smith and his amazing! Randy and Debbie W. Walker-owners Willie and Willie Homebuilders Residential Land Developers and Homebuilders "
" Laura Buck Smith was recommended by a senior executive and colleague of the immediate family based on her experience and outstanding performance as proactive realtor. She immediately came in and suggested preparations that needed to be completed to best show the house and ensure top offers were made for a quick sale. When unforeseen problems came up, her Christian values and integrity quickly resolved the issues. Her commitment and keen perspective were able to generate continuous showing which resulted in the sale of the house in just a few weeks. I highly recommend Laura Buck Smith as a clear choice for your future home sale. " " Mrs. Valerie is awesome! She knows the Ascension parish area very well. A very nice and sweet lady. She was always there when we needed her. She worked around our schedules very well. We are very happy with our house. Building a home can be very stressful sometime and she tried her hardest to reduce that as much as possible. " " Kristine is delightful. She is easy to talk to. When your home is listed, she makes it her duty to know each competing property in the area. She clearly knows her market and always makes you feel like you are her only Client. " " Steven is such a pleasure to work with. Over the years he and Laura have become like family to us. He is extremely professional, is excellent at researching and understanding the market, and is always willing to step up and do what needs to be done to get a deal to the closing table. I don't tell him enough, but I appreciate everything he does for us and I look forward to growing old with him. lol #leftbrainrightbrain "
" Laura is the best. She makes it easy, works with you every step of the way and helped us get what we wanted for our home. From start to finish, Laura was on top of everything! I am still blown away! Thankful we went with her! " " We met Mary at an open house & didn’t have a realtor yet. Had an instant connection and asked her to be our realtor. I had been looking since May for a home and had been through several open houses. She instantly started finding out what we liked and didn’t like, within a short period of time we found what we like. She’s very efficient, organized and incredibly sweet. 4 weeks later we were closing on our home. She talked me through the experience and made it an extremely pleasure. " " Steven is top knotch. Always willing to go the extra mile. He is very likeable to clients and buyers,while keeping the builders best interests first. He has represented our company as listing and selling realtor since 2010. That says a lot! " " Christie helped us sell our 2 individual houses and buy a home that is perfect for our family. We had a very specific set of “must haves”, and Christie rose to the challenge and never made us feel like we were being too picky, while also helping us stay realistic. She kept our spirits up when inventory got low, she worked with us during a couple of crazy detours, and she encouraged us and helped us move forward when we got a little overwhelmed and lost focus. 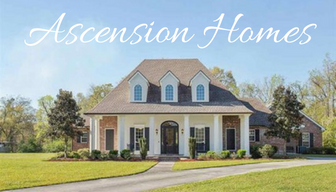 Her positive attitude and compassion were much appreciated, and her knowledge of the Baton Rouge area and the buying process helped us land an amazing home in our desired neighborhood. We could not be happier! " " I recently closed a home with Laura. The may the process super easy and fun. She handled all of my concerns and set my mind at ease. Best of all, she communicated with me through the entire process. " " Tricia was a great help with viewing this home. She was able to meet on a short notice and had plenty of information on the property and it’s condition. She had documentation prepared of comparable properties and property details. I would absolutely refer Tricia more business in the future! " We have an award winning team that is here to help you buy a new home, sell your home, buy or sell an investment property. Our team provides ​Five Star Service to the areas of Ascension, Baton Rouge and Livingston. You are not just hiring a REALTOR® when you work with us, you are hiring a team of Real Estate Professionals. 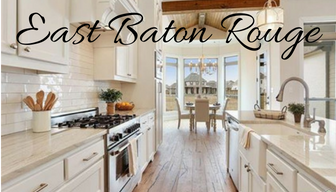 Top Team Ranking #2 in Highest Number of Homes Sold in the State of Louisiana!